Vinyl flooring is easy to clean, waterproof and slip-resistant making it an ideal floor finish in high traffic areas such as bathrooms and kitchens. Luxury vinyl tiles and vinyl flooring can be safely used with Warmup underfloor heating, including Amtico and Karndean ranges. As part of our on-going Research & Development, we have conducted extreme heat testing in our EN442-2 testing facilities to understand any effects underfloor heating may have on physical and aesthetical properties of vinyl flooring. The results throughout these tests have been that there has been no discoloration, shrinkage or effect on the appearance, meaning that underfloor heating under vinyl can be safely used. A heat loss calculation should be obtained when looking to get the heating system to ensure the correct heat output. The room temperature is then controlled with a thermostat which gives you total control of your heating settings and allows you to enjoy a warm room when desired with no wasted energy by heating the room when this is not required. >> Read more about how to keep the heat in and reduce heat loss in your home. Vinyl floor temperature should not exceed 27°C. This is safeguarded by using a thermostat and indicating in the setup that the system is being used with vinyl flooring. If you are thinking of getting the system and installing it under vinyl flooring, take a look at our room thermostats which are designed for use with vinyl flooring. 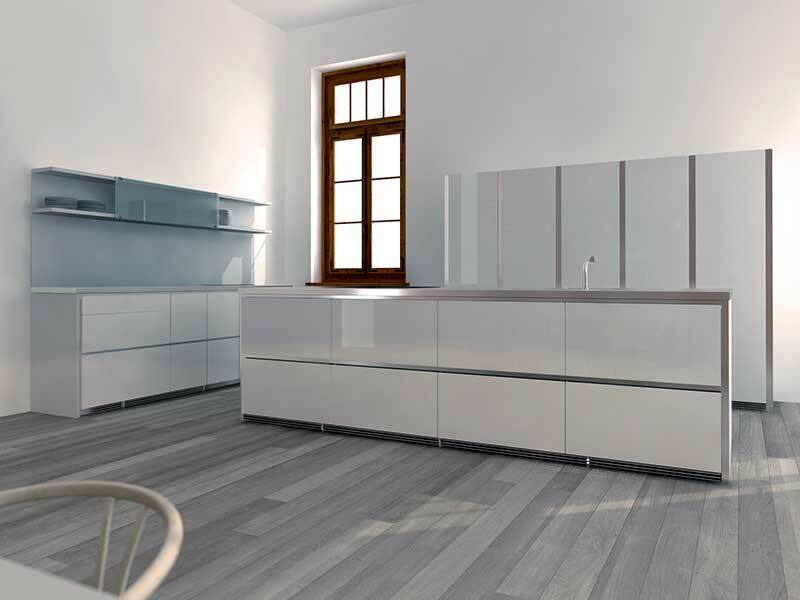 As wet underfloor heating systems are embedded into the structural sub-floor, all products in the wet system range can be used with vinyl and laminate floor covers. Depending on your preference, you may also want to choose electric underfloor heating. Foil and inslab cable electric underfloor heating can be used with vinyl. We recommend using an insulated underlay and dual overlay for maximum energy efficiency with the electric heating systems. It is important to make sure that the system gives enough heat output so that you can fully enjoy the comfort of having underfloor heating. This is where our expert team are happy to help you and why you should get a heat loss calculation done before purchasing the system. To find the best solution for your project, use our Underfloor Heating Product Selector tool. You should also note that any adhesive used is suitable for use with underfloor heating. To ensure effective performance of the system, everything above the heater, including underlay, overlay and final floor finish need to be in the limits set below. It is not recommended to install the system if the limits below are not met. This may hinder the performance of the system and result in the system not working as desired.